The Constitution forms both the foundational norms and supreme law of the nation. The right to life as stipulated there carries enormous weight. This article protects not just the freedom to live but the right to life. This article was introduced by “New Dealer” members of the U.S. Occupation administration who wanted to introduce a liberal democracy that went beyond what they were able to manage back home after the Great Depression. When looking at the Constitution, it’s important to note the subject of the pronouncements, when there even is one. Sometimes it’s nanbito mo, referring to all human beings. Sometimes it’s kinrōsha, or workers. Sometimes there is no subject, which is interpreted to mean all human beings, just like “nanbito mo.” But Article 25 uses the subject kokumin, or “the nation’s people.” The English translation uses the word “people,” yet “kokumin” in Japan has been interpreted as being limited to Japanese citizens, with foreign nationals protected in some cases. The Supreme Court made it crystal clear that “kokumin” only applies to Japanese on March 2, 1989. Hide Shiomi, a Korean national who had lived in Japan her whole life (a Zainichi), lost her sight as a small child. She applied for a disability pension but was turned down because she had not chosen to take Japanese citizenship. (Incidentally, she later naturalized.) The pension law at the time covered only Japanese people. She sued, arguing that the law and the refusal to grant her the pension violated the constitutional protection conferred by Articles 25 and 14 (which guarantees “equality under the law”). The Supreme Court ruled that “kokumin” means Japanese only. In the 1980s, Japan ratified the Convention Relating to the Status of Refugees, which guarantees the principle of equality between Japanese and foreign nationals. This led to the elimination of citizenship rules for the national pension and health insurance systems. In fact, enrollment became not just a right but an obligation, even for foreign residents. This Medieval Latin phrase translates as “the necessary changes having been made” or “once the necessary changes have been made.” In this context, the directive seems to be saying that the Welfare Law can be applied to noncitizens too, but only after certain obvious adjustments have been made. The problem comes from the fact that we may not all agree on what adjustments are “obvious.” The Japanese word is junyō or junjite. In 1954, another directive came out using the same phrase and underlining the understanding that foreign residents are not eligible for welfare in a straightforward manner under the law as citizens are, but only mutatis mutandis. Both directives said the interpretation will serve as a stopgap measure “for the time being,” yet that time being has ended up lasting more than six decades, as the government has been too lazy to turn the stopgap into a final determination. Thus today, foreigners’ right to welfare continues to be applied mutatis mutandis. Note that even this right applies only to non-Japanese with permanent resident, special permanent resident, spousal and spouse of permanent resident visas. So that there is distinction/discrimination even among foreigners. What is the practical difference between the direct application (tekiyō) for Japanese citizens and the junyō application for foreign nationals? In truth, almost none. If I convey nothing else in today’s column, I hope it is this: Foreign residents can get welfare just like Japanese citizens do. They follow the same procedures, undergo the same screening and receive the same amounts. The only meaningful difference is that when noncitizens are turned down, they have no legal recourse to appeal the decision, whereas Japanese do. But what you cannot appeal within a bureaucracy you can always challenge in court. A Chinese woman in Oita Prefecture did just that. This courageous woman claimed that foreign residents have the right to welfare. The outcome of this court case has been greatly misunderstood in both the vernacular and English-language media. 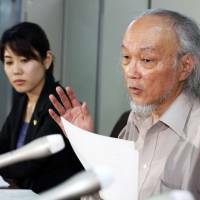 The plaintiff was born in Japan in 1932 and has permanent resident status. She speaks no Chinese. She ran a small restaurant with her Japanese husband, but he became ill and had to stop working. They lived on the income from a small parking lot they owned. Her husband was hospitalized with dementia. The husband’s brother moved in with the woman and began subjecting her to violence and verbal abuse (bōgen). He also confiscated both his brother’s and the plaintiff’s bank passbooks, which in Japan are necessary to access the bank accounts. He eventually kicked out his sister-in-law from her own home. The woman had no choice but to find refuge in a hospital. Being without money, she applied for welfare. The local welfare office turned her down because — and this is very important — she and her husband had a total of ¥2 million in their bank accounts in addition to a monthly income of ¥500,000. From the office’s perspective, she and her husband did not need welfare. The fact that she had zero access to her money would not have featured in the paperwork. There is no column that asks, “Does your brother-in-law beat you?”To a functionary, money in the bank is money in the bank. The plaintiff was not in any way turned down for welfare because she was a foreign national. This is one aspect that has been widely misunderstood by the media. The woman appealed the decision, but the governor of Oita Prefecture noted that non-Japanese don’t have a direct tekiyō right to welfare, meaning she didn’t have the right to appeal. He rejected the appeal on that basis, and she sued to overturn the ruling. The Oita District Court upheld the governor’s decision in 2010. The court agreed she had no right to appeal since her right to welfare was junyō, and that her situation did not qualify for welfare anyway. 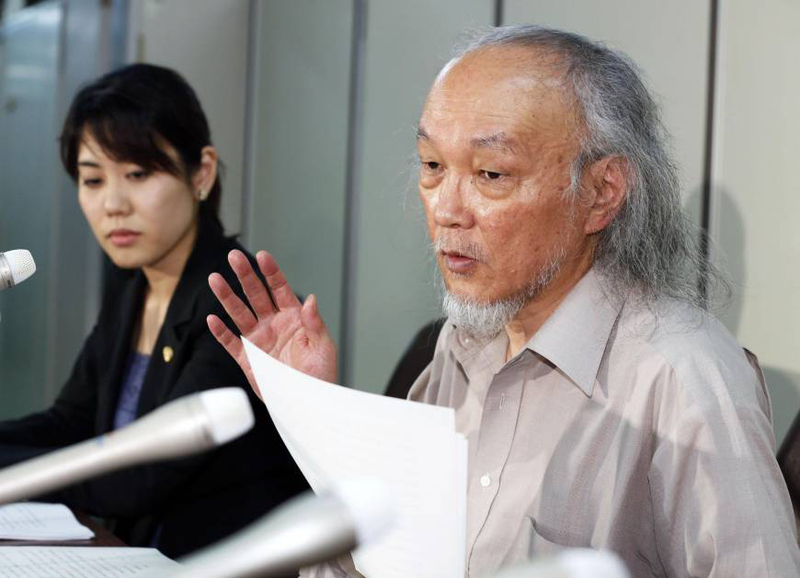 The Fukuoka High Court threw a spanner in the works, however, when it ruled in November 2011 that foreign residents’ right to welfare goes beyond junyō and is “protected by the law.” This second tribunal said she had the right to appeal. The Fukuoka ruling marked the first time in postwar Japan that a noncitizen’s direct legal right to welfare was upheld, and it represented a potentially huge step forward for foreigners’ rights. In a sense, it meant that non-Japanese could now get welfare through the front rather than the back door. Oita city appealed to the Supreme Court, which on July 18, 2014, reversed the high court’s decision and returned the legal interpretation to what it had been for six decades. The Supreme Court simply upheld the practice of 60 years for non-Japanese applying for welfare. The big news is that there is nothing new about this. The ruling has had no impact whatsoever on the ability or right of foreign nationals to get welfare. The right was and is applied mutatis mutandis. But reaction has been intense. Chat rooms were abuzz with netto uyoku (rightwing netizens) applauding the verdict that “took away the right of foreigners to get welfare.” Those hostile to Koreans and Chinese people were particularly elated by the verdict. Many claim, without evidence, that non-Japanese receive welfare illegitimately and fraudulently. Left-wingers and civil rights groups blasted the verdict as an unconscionable attack on human rights. Both sides referred to this as a “landmark” case, but both have misunderstood the verdict, and Facebook and other social networks are spreading this misunderstanding. It’s worth repeating: Nothing has changed. Foreign residents continue to receive welfare just as they did before the verdict, and in practice pass the screening process just as often, if not more often, than Japanese do.